Many users will leave this as Default setting. However should you be using a very high resolution display screen (my laptop screen is 3,200ppi) then you may find the font size to be very small. 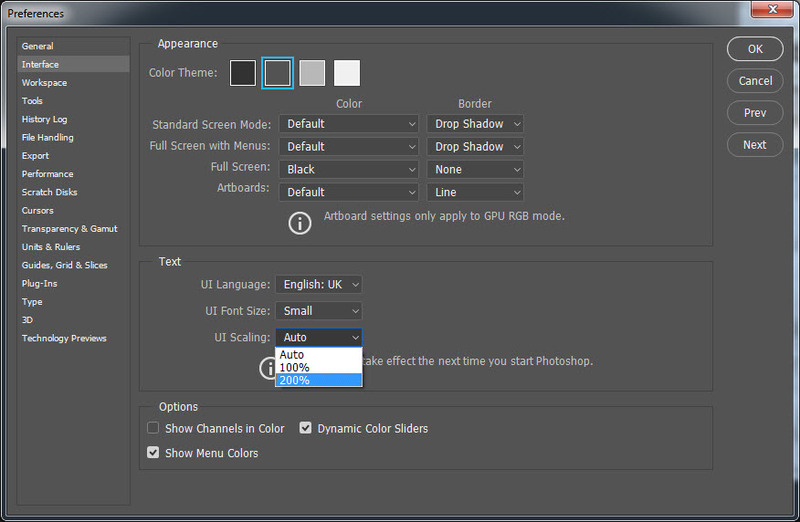 Here you can change both UI Font Size and UI Scaling, see below.